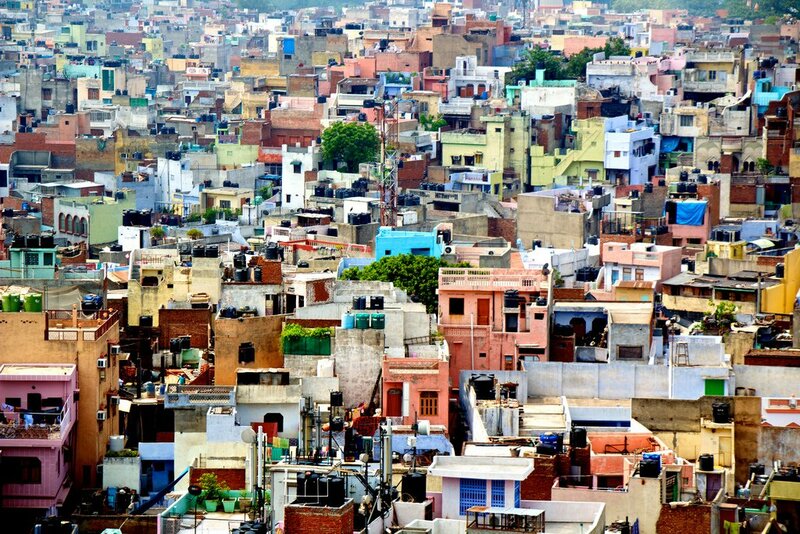 Delhi is a bustling city filled with history, old-world charm and a ridiculous number of people. While navigating the crowded streets of Delhi is no easy task, experiencing the non-stop hustle of local life certainly makes up for it. If a trip to Delhi is on your horizon, or if you’re needing some inspiration for a future vacation, read on. We’ve chatted with Delhi local, Tarun Sharma, to round-up an authentic, but stress-free 24-hour guide to this truly one-of-a-kind metropolis. Over the past 15 years, the public transit in Delhi has been totally revamped. This world-class metro line that serves over 1 billion riders each year is a quick and reliable way to get around the city. The line also offers an airport express train that will take you from the IGIA to the most central part of New Delhi in under 25 minutes. But if you’re too exhausted from the flight over, calling an uber, black and yellow cab, or even a tuk-tuk, is a good way to go for a totally stress-free ride to your hotel. Delhi is home to an impressive list of ancient temples and monuments, and you can expect these spots to be clogged up with tourists any day of the year. 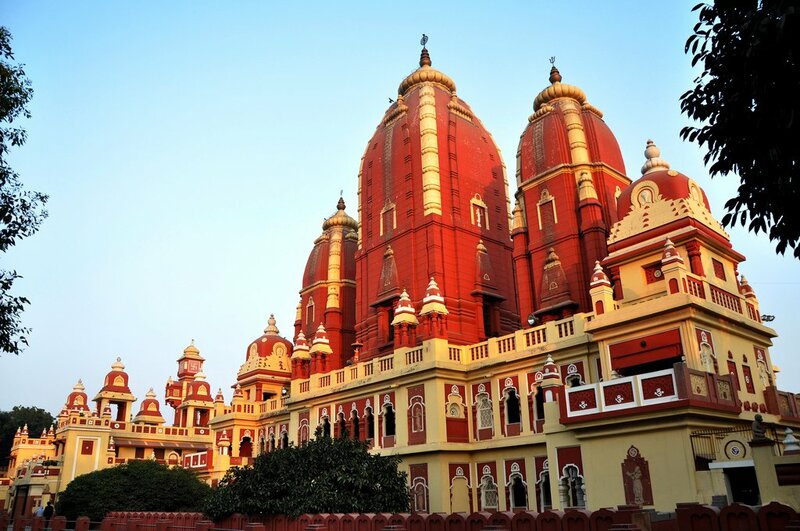 Beat the crowds with a pre-sunrise visit of the Laxmi Narayan Temple, dedicated to Laxmi, the goddess of prosperity. What makes the Laxmi temple unique is that when it was inaugurated in 1939 by Mahatma Gandhi, he made it so people of all castes would be allowed in the temple. You can finish off your visit at the Hanuman statue, also known as the monkey face God. Old Delhi, which Sharma refers to as ‘the most exotic part of Delhi,’ and ‘the heart and soul of the city’ makes this a must-see spot for visitors. 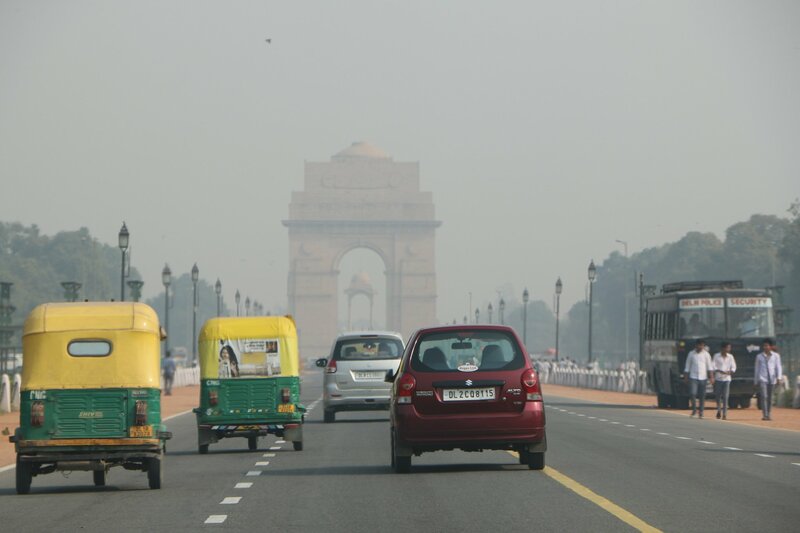 Start your journey by cab to the Red Fort parking and to continue into Old Delhi via bicycle or a battery rickshaw. 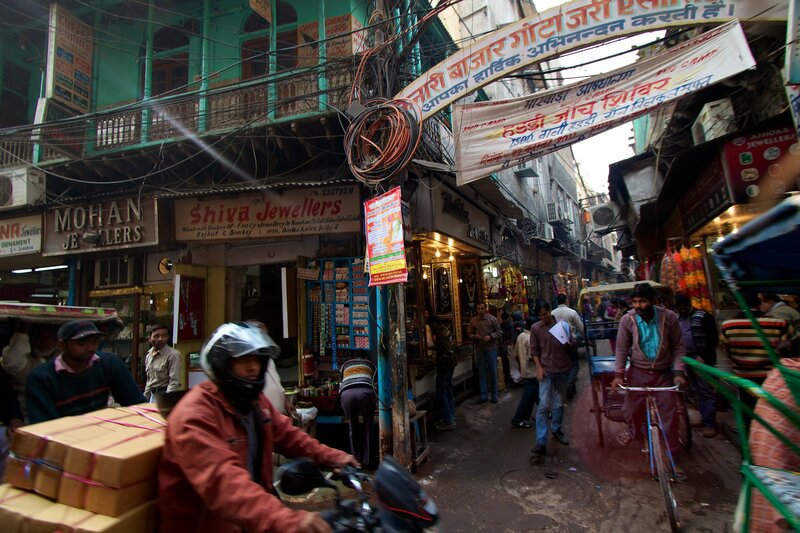 Once you get to the Chandni Chowk market, it’s best to go by foot as market pathways and side streets can be extremely narrow and crowded. Chandni Chowk, which means ‘moonlight square,’ is a 17th century market known for its charm, movie appearances and endless rows of vendors. However, some streets can be difficult to find, so it’s best not to add too many stops on your list and instead have fun getting lost in the chaos. 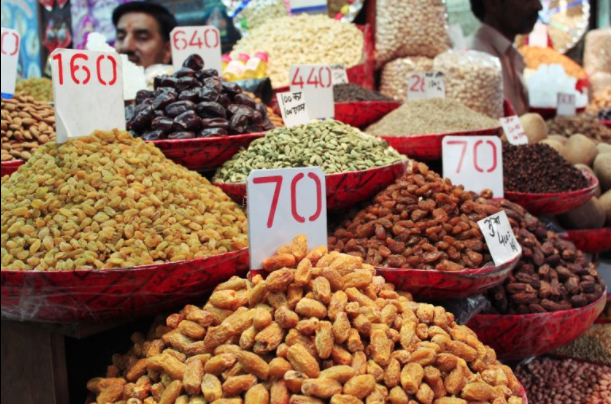 No adventure in Old Delhi would be complete without a visit to the Khari Boali Spice Market. This massive warehouse is said to be Asia’s largest spice market and is a great place to interact with locals and the experience the bold flavours of India. It won’t be long before the delicious smells and bright colours make you hungry for some traditional Indian cooking. One place that is sure to satisfy your cravings is Karim’s, located in old Delhi. This popular lunch spot has been in business for over a hundred years, a true testament to the quality of the food. Locals will confirm that they make some of the best butter chicken in the city. Depending on your energy levels, it might be a good idea to make your way back to New Delhi via rickshaw and give your feet a rest. Head south to check out the India Gate and Rashtrapati Bhavan (the President’s house), then finish off your ride at the Lodhi Garden, a great place to relax or enjoy a picturesque walk. 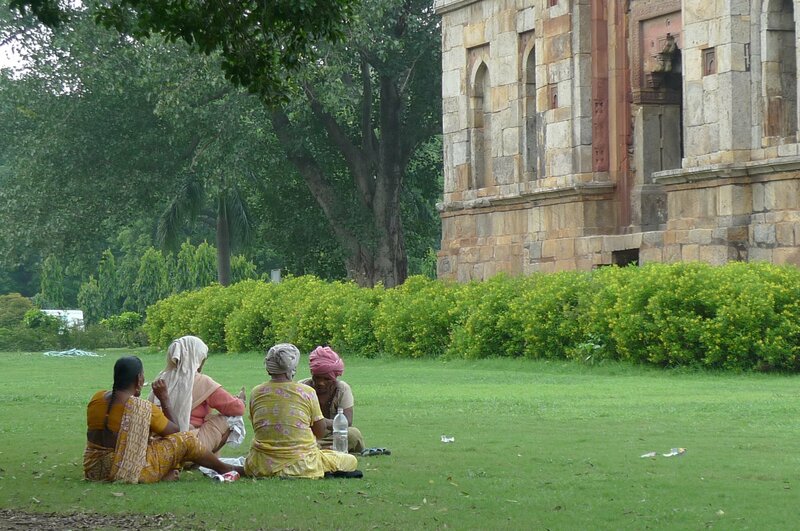 This garden is particularly big and houses 16th-century ruins from Lodhi time. Once you’ve rested, take the time to visit the tomb of Muhammad Shah, who was the 3rd leader of the Sayyid dynasty in the 1700s. One of Sharma’s favourite things to show travellers is the water show at Akshardham Temple. The arena itself is a work of art, built as a replica of traditional step-wells that includes over 100 small shrines. 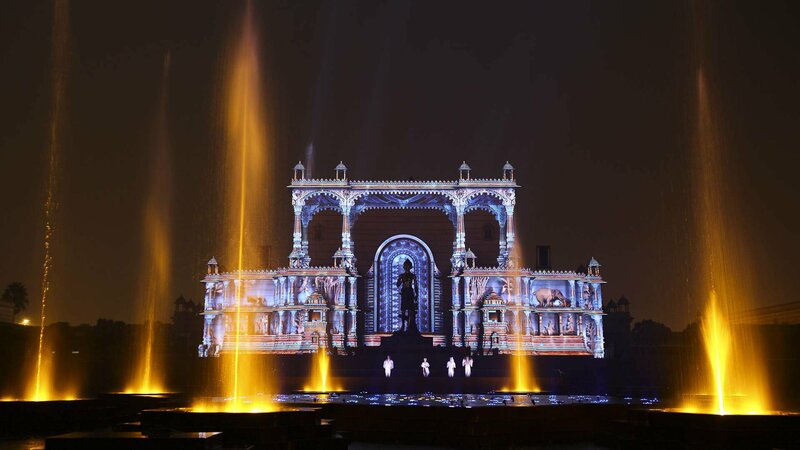 Each night when the sun begins to sets, hundreds of locals and visitors gather around the step-well to enjoy a 25-minute production of light, water, lasers and underwater flames. The entire show is performed in Hindu and tells the story of children who use their innocence to challenge the Gods and protect their sacred lotus flower. By the end of the day, you are sure to feel more connected to the history of this great city, with a happy belly and spectacular new memories.